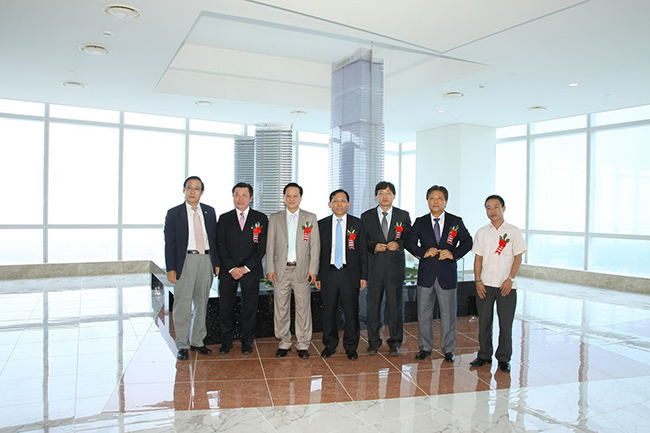 On 18/5/2012, in Hà Nội, Keangnam Vina Co., Ltd held the opening ceremony of Keangnam Landmark 72 and Sky 72. This is the so-called the highest building in Việt Nam of the time. Keangnam Hà Nội Landmark Tower is a complex of hotel, commerce, office and residential apartments. In the skyscraper 72 storeys, there laying office area of 5.186m2 each storey, with the occupation of many big brands such as: Standard Chartered bank, Ericson, KPMG, PWC, LG electronics. Up from the 48th floor is luxurious zone for residential and hotel service managed by Calidas. The modern equipments and deluxe rooms there will satisfy every guests coming to Hà Nội. Sky 72 at the height of 346m in the top of Keangnam Landmark 72 Tower will offer visitors wonderful sight view of Hà Nội. 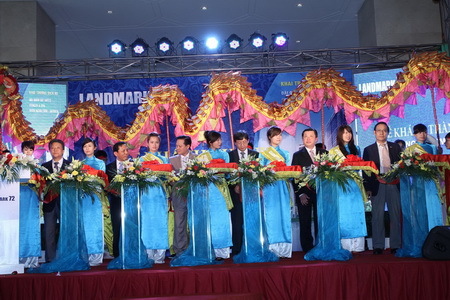 Keangnam Landmark Hà Nội is expected to be the symbol of the growth of Việt Nam’s economy.